We’re talking about the clubs, not actual people, so it probably won’t be as depressing as the title implies. This started out as an examination of which rugby league club could claim to be the best expansion team, in the same vein as the Vegas Golden Knights who disputed the NHL’s Stanley Cup in their first season. 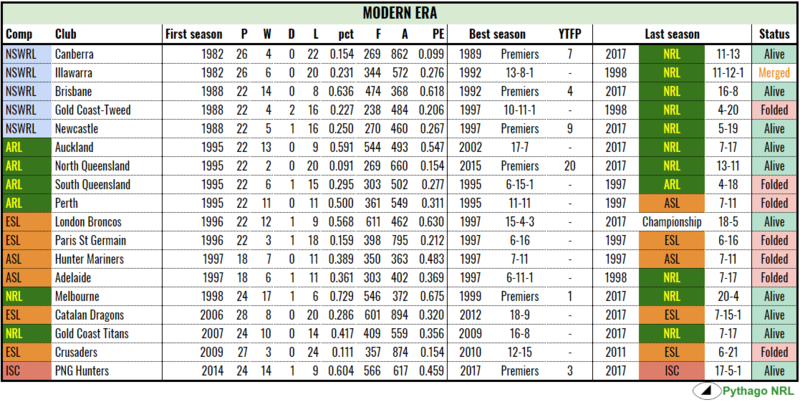 It would surprise no one to discover that the Melbourne Storm are the best expansion team of all time in rugby league, taking all of two seasons to win a premiership and then winning another four two in just twenty years of life. That kind of precociousness is hated in children and it seems would also apply to the Victorians. Instead, what I found more interesting was how many clubs had fallen by the wayside. The original Northern Union was founded in 1895 with twenty-two clubs while the New South Wales Rugby Football League was founded in 1908 with just nine members. How many of those were still standing after all this time? The metaphorical lifeforms that are sports teams can die any number of deaths. Some are starved of money and have no choice but to fold, some are forced out into the cold due to political machinations and some die from apathy. Others don’t die per se but may be merged with another sports club to ensure their mutual survival. Some clubs may find themselves at the top of their game but later find it difficult to maintain their position as apex predators and are relegated from the elevated position but find a new living at a lower level in the food chain. As with many things in life, the line between a dead club and one that is merely resting will require some common sense but generally speaking, a club will be deemed dead if it does not participate in multiple seasons of the competition of which they were formerly part. In 1895, clubs around Yorkshire, Lancashire and the other northern counties broke away from the Rugby Football Union to turn professional. Twenty-two clubs heard the call emanating from the George Hotel. Remarkably, fourteen still operate today: Batley, Halifax, Huddersfield, Hull, Hunslet, Leeds, Leigh, Oldham, Rochdale, St Helens, Wakefield Trinity, Warrington, Widnes and Wigan. Of that list, four are playing in the lower tiers of the game and the other ten are in today’s Super League. Brighouse, Liversedge and Stockport wouldn’t live long enough to see the game played in Australia. Tyldesley are absent from RFL’s records from 1900 but managed to convince someone to let them back in to union in 1911. Runcorn would fold in 1917, after a number of near wooden spoon seasons, and Broughton died much later, in 1955. In the most bizarre deaths of all, both Manningham, premiers of the first ever season, and Bradford left the Northern Union in 1903 and 1907, respectively, to pursue life in soccer. They are dead for our intents but continue to play today in the lower tiers of association football in England. The latter were replaced by Bradford Northern, today’s Bulls, a team with its own health issues. The Northern Union rules finally arrived in Sydney after the famous All-Golds tour of 1907. Clubs were quick to be founded or converted across from the strictly amateur rugby union to the new professional game. Nine clubs contested the first season in 1908: Norths, Souths, Easts, Wests, Newtown, Balmain, Cumberland, Glebe and Newcastle. Only Souths and Easts continue in their original forms in the top flight. Norths and Newtown continue to play but have been relegated to the Intrust Super Premiership. Wests and Balmain merged in 2000 to survive through the twenty-first century. Cumberland and Newcastle died after their first and second years respectively, hampered by low quality play and the tyranny of distance. Glebe were eventually forced out to die in the cold, due to an “unattractive” playing style, another twenty years later. Though rugby league was seriously contested in Brisbane as early as 1909, it wasn’t until 1922 that the Brisbane Rugby League was formed to conduct the state’s premier competition under it’s own auspices, separate to that of the Queensland Rugby League. 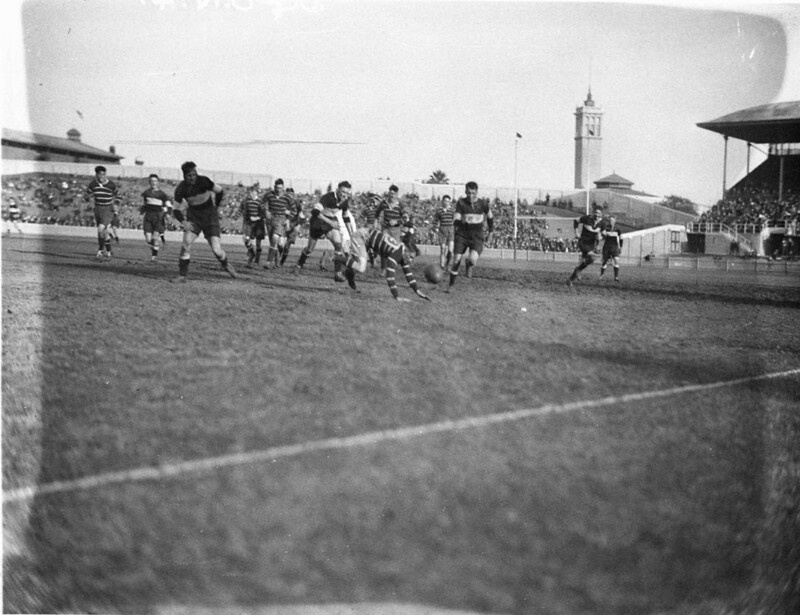 Six teams contested the first season: Wests (as Western Suburbs), Valleys (as Fortitude Valley), Easts (as Coorparoo), Souths (as Carlton), Brothers (as PC Brothers) and University. 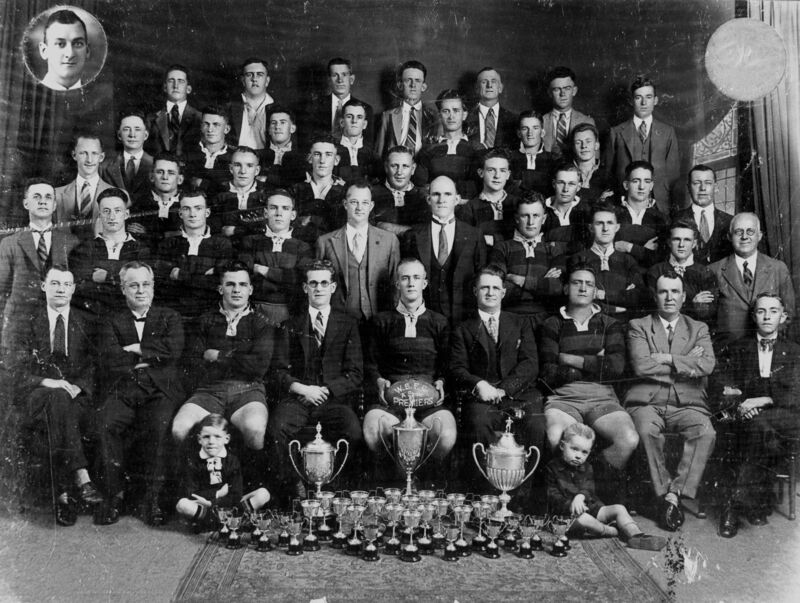 University gave up rugby league in 1934 as, much like their southern counterparts, they were unable to keep up with the semi-professionals playing under the new districting system introduced the year prior and went to play union instead. Whether Brothers is still “alive” today is a difficult question to answer. No club named Brothers plays in the NRL, Queensland Cup or the current Brisbane Rugby League but there are a number of Brothers rugby league clubs around the state. A quick search yielded results for Cairns, Townsville, Mackay, Toowoomba, Ipswich, Logan and interstate clubs, as well as a junior RLFC in Brisbane, but as far as professional football goes, Brothers is dead. Tracking expansion teams in the RFL system is beyond my limited capacity to undertake research, a process which is significantly complicated by having multiple tiers of clubs wherein the lower down the system you go, the less easy to find the information is. Nevertheless, Wikipedia has a record for the 1908-09 Northern Union season which features a monstrously unwieldy thirty-one clubs. Aberdare, Mid-Rhondda and Barry made it through the season but went no further. Treherbert, Merthyr Tydfil and Ebbw Vale lasted a bit longer. These six clubs were all Welsh, being founded in a heady period of expansion in 1907-08 and none making it past their fifth birthday. To this day, the RFL has two semi-professional clubs in Wales and struggles to firmly establish the game there despite a long and successful history of Welshmen “going north”. The other deceased was Bramley, who folded in 2000 after being forced into the shadows by Leeds and never finding their way to sunlight again. If we include Bradford Northern, who have been in administration three times and were liquidated in 2017, and the aforementioned Runcorn and Broughton, that takes the death toll to ten. Conversely, the Australian competitions declined to adopt promotion and relegation, as is common in Europe. It’s here that we change gears slightly, focussing on the mortality of expansion teams instead of the competition as a whole. As the city of Sydney expanded westward from the harbour towards the Blue Mountains, new teams were added to the premiership. The first was Annandale in 1910, who played for ten years before a 0-13 season in 1920 and winning just a single game in three seasons saw them excluded from the competition. University joined that year and ended their run in the premiership in similar circumstances at the conclusion of the 1937 season, finishing 0-8 with barely two wins in the previous for years. Poor results can be as effective as bankruptcy in killing off clubs. After a couple of initial hiccups, expansions ran relatively smoothly for the NSWRFL. 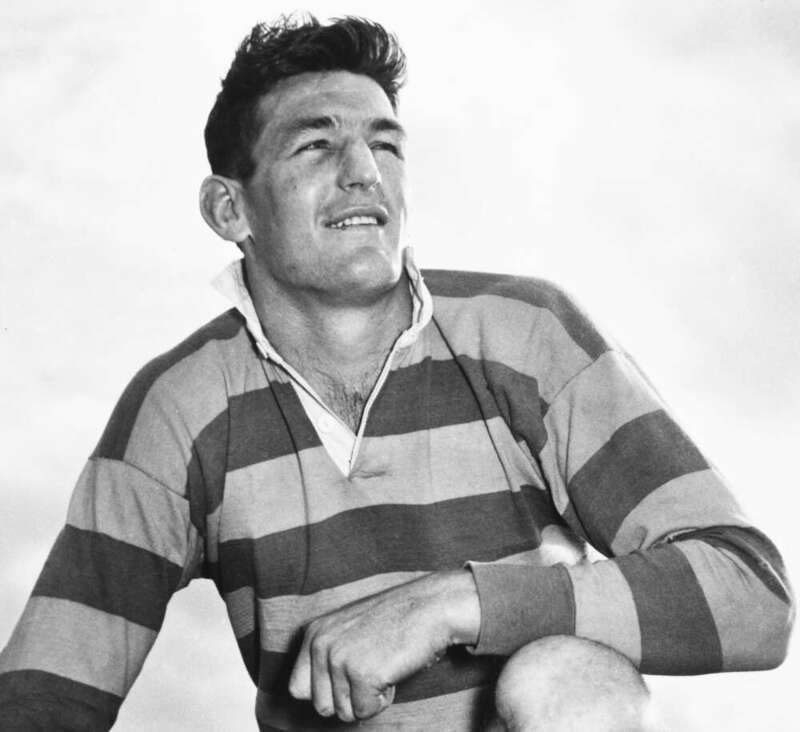 St George joined in 1921, Canterbury-Bankstown in 1935, Parramatta and Manly-Warringah in 1946 and Penrith and Cronulla-Sutherland in 1966. All six clubs are still in the NRL today. Expansion of the Brisbane Rugby League was a relatively straightforward affair. Past Grammars commenced play in 1924 and were absorbed into the new Northern Suburbs club when district football was introduced in 1933. A Wynnum club appeared in 1931 but merged with Coorparoo to form Eastern Suburbs. The club we know as Wynnum-Manly today first played in 1951 and Redcliffe joined them in 1960. While none of these clubs play in the NRL, they are still active members of the Intrust Super Cup competition, today’s equivalent of the BRL. The modern era of rugby league in Australia began in the early 1980s when Illawarra and Canberra were added to the NSWRL premiership. The division between eras, to me at least, is the result of a conscious decision by administrators to create new clubs for the express purpose of expanding the game’s commercial footprint. Previous additions of teams to rugby league competitions had reflected a bottom-up approach of clubs founded by people in new geographical areas to play the game and eventually become good enough to participate in first grade. The organic growth of the classical era had been replaced with inorganic machinations of the modern era. Gold Coast-Tweed Heads, Newcastle and Brisbane would follow in 1988. The latter’s creation would be the death knell for the local Brisbane Rugby League competition, which would later be reincarnated and reimagined as the Queensland Cup in 1996. Four of the quintet would be successes, all continuing to this day, except for the Gold Coast Giants/Seagulls/Chargers, a victim of not only rugby league’s desire to reduce the premiership to fourteen teams but also the widespread local apathy bred from years of woeful results, reaching it’s nadir in 1993 when the then Seagulls won a single game. 1995 introduced a new crop of entrants, including Auckland, North Queensland, South Queensland and Perth. Supposedly, only two were to join in ’95 with another two following in 2000 but the presentations to the ARL board were good enough that John Quayle and Ken Arthurson put all four in. Perth was an inevitable casualty of ARL mismanagement, when promised financial aid to ease the burden of travel costs for visiting teams was not forthcoming. The Reds folded after just three seasons, $10 million in debt. South Queensland never stood a chance. The Broncos had been established for seven years and, more importantly, won two premierships before the Crushers arrived. Coupled with the only newspaper in town sharing an owner with the incumbents, South Queensland were starved of media attention, fans and money. They were an easy choice to eliminate when the competitions re-merged in 1998. Super League, the splinter rugby league competition with the right ideas and the wrong methods, needed some new clubs. News Ltd created the Adelaide Rams, breaking new ground for the sport, and the Hunter Mariners, the latter as a rival to the Newcastle Knights. The Mariners played in 1997 but were deemed surplus to requirements in the new National Rugby League competition. Adelaide survived another season but weren’t able to attract enough attendance to maintain a place in the new NRL, despite being in a relatively good financial position. The Rams exited after the 1998 season. Smarting from the Super League civil war, the banishment and eventual return of Souths and a number of mergers between heritage clubs, Australian rugby league has been gun shy of expansion since. Even so, the Melbourne Storm have now seen out two decades in a state that had no idea about rugby league and being stripped of several titles, and the Gold Coast Titans have made it through their first, despite poor management requiring a takeover by the NRL. It’s worth noting that I have declined to look at the Queensland Cup, mostly because the nature of the competition has changed a number of times and it’s no longer the premier competition in its area. However, plenty of clubs have gone to the wall in the QCup’s short history. Wests, Valleys, Port Moresby, Bundaberg and Toowoomba are prime examples but a period of stability, with Townsville and PNG emerging and the Western Mustangs just over the horizon, may be upon us. While Australia was flirting with News Ltd control of the sport, the smaller and financially weaker clubs of England went over wholesale to the Super League concept. With it came the more American approach to the sport: an interruption to the traditional promotion and relegation system with a system of licencing (franchising by any other name) and fast-tracking the promotion of potentially commercially lucrative teams. After a series of proposed mergers were rejected, to make the series work, the London Broncos (founded as Fulham and now armed with investment from the Brisbane Broncos) were pushed into the top flight, along with the creation of a new team in Paris St Germain, an offshoot of the much more famous soccer club. PSG were wound up after two seasons due to contract irregularities. Being located in the wrong part of France to the people who actually enjoy rugby league did not help. London survived, changed identities a few times – including a stint as Harlequins and briefly returning to their Fulham identity – and has spent a significant amount of time in the lower tiers. The Broncos are on the cusp of returning to the Super League. In 2006, Catalans parachuted into Super League to provide a French offering and expand potential broadcast reach. 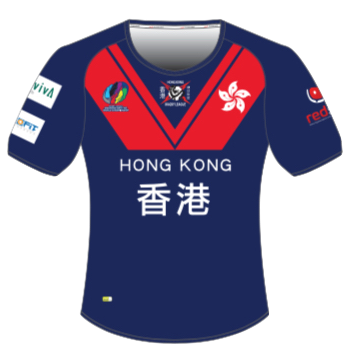 Les Perpignanais have not been relegated nor have reached the pinnacle but were the first non-British team to contest a Challenge Cup final in 2007. By the late 2000s, licencing had made a comeback with the fast tracked promotion of the Celtic Crusaders in 2009. The Crusaders were another attempt by the RFL to break into Wales and were about as successful as their counterparts a hundred years earlier. The club moved in an effort to build a fanbase and dropped the Celtic from their name. In a tale as old as rugby league itself, the club went into liquidation the year after and did not contest the 2012 season. For comparative purposes, let’s take two cases of major sports worldwide with histories that are as long, if not longer, than that of rugby. Although baseball existed since the mid-nineteenth century, the first season of the National League was played in 1876. It was contested by eight teams. Of those eight teams, three still exist today as Major League franchises in the form of the Cubs, the Braves and the Reds. The other five teams gave up almost immediately, either expelled for refusing to complete their schedule, match fixing or were simply disbanded. By the 1895 season, the National League had twelve clubs, replacing some of those lost previously. A degree of stability has been achieved with only four subsequent deaths. The most famous of these are Cleveland Spiders, who would go on to have the worst ever Major League season in 1899, finishing 20-134, before giving up the ghost. Louisville, Washington and Baltimore would also be pushed out of the National League in 1899 before signing up as new franchises in the new American League in 1901. By 1908, the major leagues – National and American – had established themselves with eight teams each. All sixteen of those teams still play today in the majors, subsequently joined by fourteen other expansion teams since 1901. Today, MLB is one of the world’s most profitable sports. The Football League in England played it’s first formal season in 1888-89. Twelve clubs participated and played twenty-two games. Of the twelve, only one failed to make it, seventh-placed Accrington F.C., who resigned from the Football League after the 1892-93 season, rather than play in the Second Division. The club continued until 1896 until a battering at the hands of Darwen convinced them to give it up. Burton Wanderers and Burton Swifts were merged together in 1901, then merged with another club in 1910, 1924 and finally in 1950 to form Burton Albion. While the latter still exists, you can’t say that either of the former two are still alive in any meaningful sense. Darwen, a team so good at one point they convinced another side to give football away entirely, ran into financial problems in 2009 and were wound up. 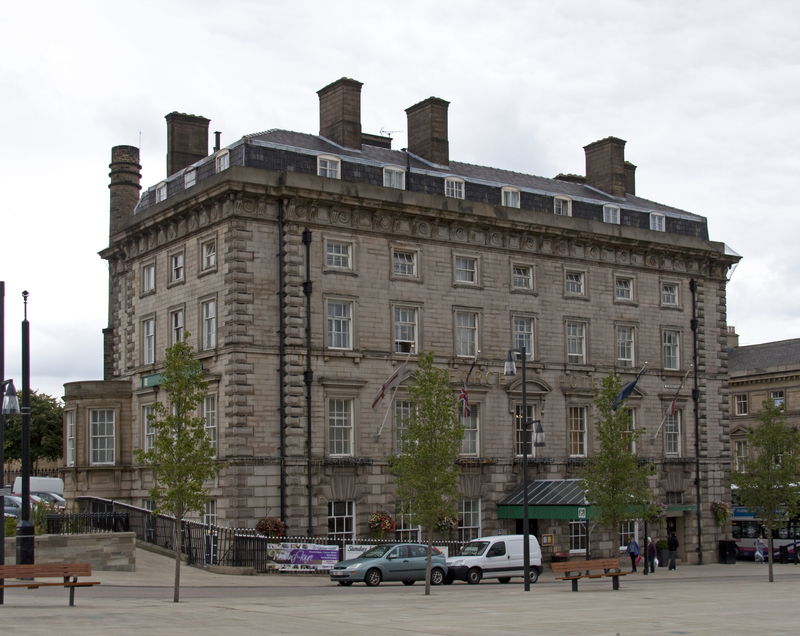 Rotherham Town folded in 1896 after finishing down the bottom for several years running and simply didn’t apply to re-election to the League. Loughborough FC were struggling before being handed a 12-0 hammering by Arsenal in a game that Arsenal paid their travelling expenses for. The team was not re-elected to the League, applied for membership in another league and then failed to turn up for games. Everyone figured the club was dead. Of the forty teams that played in the Football League’s 1908-09 competition, only Leeds City F.C. has died. They folded in 1919 due to financial problems following World War I. They were replaced by the much more famous Leeds United. This is far from the work of a scholar and, unlike my usual approach, I have deferred to anecdotes rather than data. I didn’t need to go into the detail that I did but I wanted to tell some of the stories of the world’s least successful clubs and I believe that there’s a lot that can be gleaned from their failures. We can view these factors as a form of natural selection. Teams not up to first grade standard – either in performance, marketing or finances – are weeded from the competition to create more room for stronger teams to thrive. Depending on the selections made, this can be a risky strategy. There are fewer teams to bear the brunt of a disaster; the loss of three teams in a thirty-two team competition is a less disastrous outcome than the loss of a single team in a twelve team league. At the same time, having a competition structure with too many mouths to feed risks the entire endeavour. Even accounting for the relatively wild ways of the late nineteenth and early twentieth centuries that have been replaced by a more professional, modern administration, I think we can safely conclude that rugby league administrators have not been as competent as their counterparts in other sports. Baseball has a flawless record of expansion from 1901 to today. The Football League has a mortality rate in 1895 lower than at any point in rugby league’s twentieth century history. By contrast, the RFL has had several attempts to crack the neighbouring Welsh market and has failed every time. Whether this is a reflection of the kind of people that rugby league attracts or just a quirk in sample size, I will leave that for you to decide. What we think of as being permanent almost never is. I don’t think anyone saw the black swans that would see Rangers FC liquidated, AC Milan demoted for match fixing and Portsmouth relegated for going into administration. As a tree that lives for centuries may eventually be toppled by an ordinary storm, identical to the thousand storms that the tree had weathered before, at the highest level in the world’s biggest sport, clubs can be surprisingly vulnerable to unknown unknowns. We should not assume that rugby league clubs are less likely to be toppled. Melbourne and Canterbury were lucky to survive their respective salary cap scandals and Newcastle and the Gold Coast would have been wound up had the NRL not been able to step in. With these facts in mind, the sport requires expansion in the same way that species must reproduce or face extinction. Those who argue against ‘expansion for expansion’s sake’ are, at best, misguided. Those who points to previous failures are also misguided. Our brains are hard wired to focus on bad things more than good things. Naturally, passionate rugby league fans will look on the modern era’s record of expansion as abysmal. It has been a coin toss whether a new franchise survives for more than a few years. One thing that’s become apparent from this survey is that not everything is a failure. For every South Queensland Crushers and Paris Saint Germain, there’s a Brisbane Broncos and Catalans Dragons. Encouragingly, we see even more prospects for successful and sustainable expansion with the PNG Hunters defending a premiership in the Queensland Cup and the Toronto Wolfpack on the verge of being promoted to the Super League in 2019 and just over the horizon are Fiji, Perth and New York City. The point is not that our administrators are idiots with a record of failure, although there is a case to be made for that. It is that we should keep trying because sometimes we are successful despite ourselves and we need new living, breathing clubs, whether in the heartland or new territories, to keep rugby league alive. In that, we may well be able to learn from our mistakes and the successes of other sports to ensure the longevity of our sport.